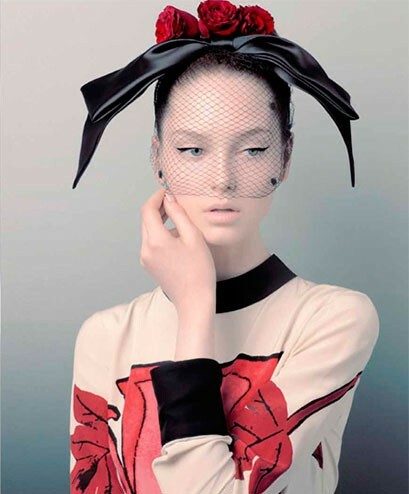 Whether you’re going for a shocking, witty or groomed look, timeless millinery pieces will add charm to any stylish wardrobe. Adorning heads from the classic cloche to the fashion-forward fedora, a true milliner brings an arsenal of ideas to the drafting table. When it comes to exquisite headgear, true hat makers don’t typically shy from the decadence of furs and feathers, but rather they embrace the glamour with added elements of fabrics and appliques to create genuine pieces of lust and wonder. Millinery is an art that speaks through quality and delicate handcraftsmanship — as we all know, even Coco Chanel’s appreciation for designing fine garments began with headpieces. There’s just something so romantic about a beautiful hat, no? From the elegant, free-flowing silhouettes of the ’30s to the boyish lines of the ’20s, fabulous headwear has been a feminine staple since someone decided to deem fashion “fashion.” One good way to combine millinery bravura into your wardrobe is to pair your hat’s color scheme with accessories (it’s not necessary to match your clothing with your headpiece). The multi-award winning milliner, based out of Sydney, has been working up her namesake label since 2006, creating custom handmade race-wear and bridal headpieces, as well as fascinators, hair combs, crowns, birdcage veils, headbands and accessories. When you look at a Novak design, straight away you’re taken aback by her signature ability to create with a vintage, but modernly polished, aesthetic. Luxurious materials. Delicate details. Sparkle. 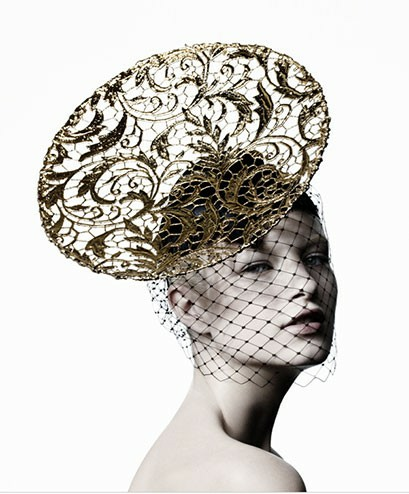 Glam... It’s everything you could ask for in beautiful millinery. There are hat makers... And then there’s Jonathan Howard. His name aligns supreme within the Australian Fashion Industry, but it doesn’t stop there. His handcrafted talents have traveled the world atop International glam-cons such as Kate Middleton, Nicole Richie, Chanel Iman and Miranda Kerr (just to name a few). You’ve probably seen his designs numerous times in your favorite glossies... Oh, and Jonathan was the first milliner to be awarded “Best Australian Fashion Accessory Designer” at the Prix de Marie Claire in 2009. Howard’s vision, execution and aptitude for groomed yet imaginative designs have made his pieces not only extremely wearable, but collectable as well.